Food distributor Patties Foods has recalled two brands of frozen mixed berries — Nanna’s and Creative Gourmet — due to reports of three people in Victoria, four in Queensland and two in New South Wales developing hepatitis A after eating the products. The cause of a fourth Queensland case is still in doubt. Initially, only one-kilogram bags of Nanna’s mixed berries were recalled, but that has now been extended to 300-gram and 500-gram bags of Creative Gourmet mixed berries. The berries came from Chile and China. Authorities are warning people against eating one-kilogram packets of Nanna’s mixed berries with best-before dates until and including November 22, 2016. For Creative Gourmet, the date ranges are up to and including December 10, 2017 for 300-gram packets and October 6, 2017 for 500-gram packets. Only product lines that show sufficient evidence of risk to consumers are recalled in outbreaks such as this one. It’s common, though, for the lines affected to change as more information comes to light. The berries are linked with an outbreak of hepatitis A, a viral infection of the liver. Symptoms include fever, nausea, abdominal discomfort, diarrhoea, dark urine and jaundice (yellow skin and eyes). The illness can be quite severe, particularly in people who are already unwell. Most people recover within several weeks and young children often show mild or no symptoms. But the serious cases result in hospitalisation and liver failure. Infection is acquired when people ingest the virus, which is excreted in an infected person’s faeces. Infection can result from close contact with an infected person, eating contaminated food or drinking contaminated water. Symptoms appear between 15 and 50 days after exposure to the virus, which makes it difficult to identify possible sources. Food-borne outbreaks of the disease occur when a person eats food that has been contaminated by the virus – either by contamination during growing or processing, or when a person prepares food while they are infectious. Sometimes the outbreak is caused by water contaminated by human sewage. The number of hepatitis A cases in Australia has been declining dramatically since the late 1990s. This is probably due to a range of factors, including a reduction in the number of people in high-risk groups susceptible to hepatitis A virus infection, and vaccination campaigns in target groups, such as Aboriginal and Torres Strait Islander children in 2005 and 2007. These days Australian health authorities receive reports of a couple of hundred cases each year. Almost all of these are acquired when people who haven’t been vaccinated against the illness travel overseas. Berries have caused large outbreaks of gastroenteritis and hepatitis A in the past, particularly in Europe and the United States. Health agencies have increasingly become aware of fruits, vegetables and herbs as a cause of disease outbreaks. Awareness has grown in parallel with global food distribution networks, which started garnering the attention of food safety authorities in the late 1990s. In Australia, we haven’t recorded large outbreaks associated with berries, but New Zealand identified an outbreak of 39 cases of hepatitis A associated with locally grown blueberries. 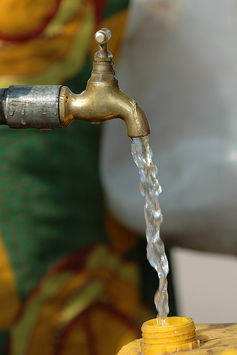 Being grown in contaminated water. Getting contaminated by infected animals, such as livestock, rats, mice or bats, at some stage in the production cycle. Being picked by people who are infected with hepatitis A.
Mixing with other ingredients contaminated with hepatitis A virus during processing. Being washed in contaminated water. There is evidence that fruits, such as berries, and some vegetables, such as tomatoes and sprouts, can sometimes internalise bacteria and viruses during growing. This means that the disease-causing agent may actually be inside the fruit and is almost impossible kill except by cooking. The hepatitis A virus is easily killed by cooking to more than 85 degrees Celsius, which would deal with most other bacteria and viruses. Washing is useful for getting rid of surface contamination of fruits and vegetables, which is sufficient most of the time. But if there is a possibility that foods, such as berries, are contaminated with disease-causing agents, it is best to avoid them altogether. After a food recall such as this one, investigations by health and food safety agencies will try to create a picture of what happened and when. 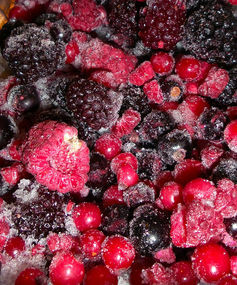 In the meanwhile, the key thing for consumers is to avoid infection by making sure they do not eat any of the recalled berries that may be in their freezer. It is likely that only a small proportion of people who eats these berries will become infected. But if you have eaten them and started to develop any of the symptoms listed above, you should see a doctor as soon as possible.